Wild Bird Depot offers a full line of kits for kids, scouts, seniors or any nature project! 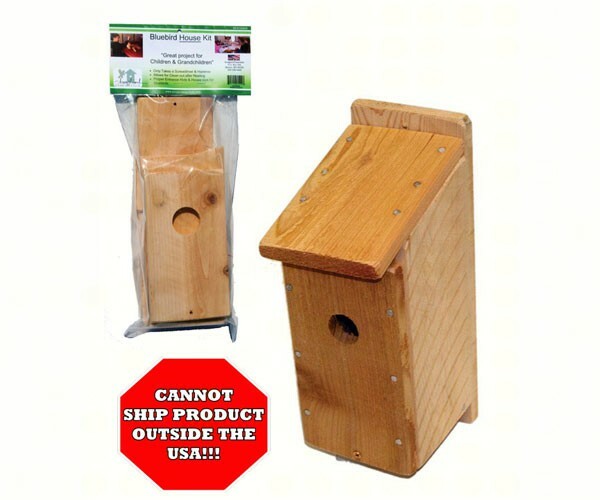 One of our most popular bluebird house kits. Great kid's or Cub Scout project and easy to build. Made in the USA from long lasting western red cedar. Includes easy to follow instructions. Predrilled holes for simple construction, nails included. Requires hammer and screw driver for construction. 1-1/2" entrance hole. 5" x 5" x 13"